Ask any writer about their favorite inventions of the past 100 years, and many of them will rank Post-it notes pretty highly on that list. There are so many excellent inventions over the years, but Post-its have to be one of the famous and most revolutionary. 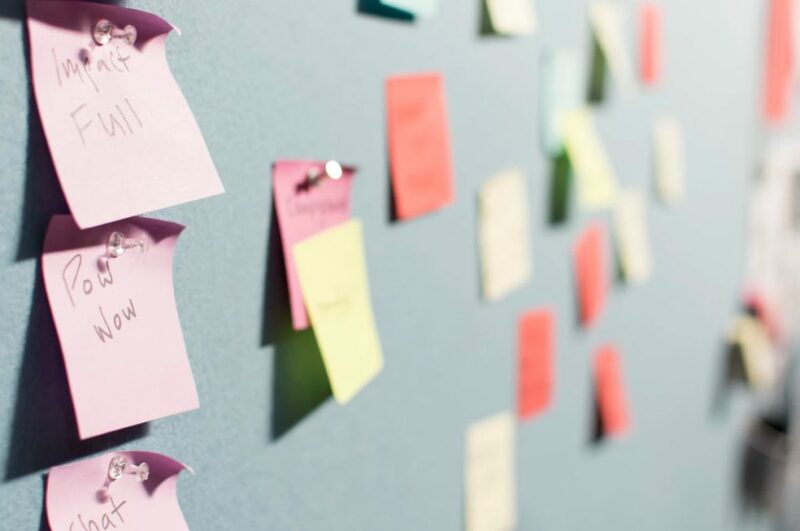 Think about all the useful and convenient things these sticky notes allow us to do. We can set ourselves reminders, leave notes for other people, and even make shopping lists. Go to any business, or indeed any desk, in the world, and you are bound to find Post-it notes there in some capacity. These small pieces of paper with a light adhesive on the back revolutionized the world of stationery. And, like all of the best inventions in the world, they were actually invented entirely by happenstance. So, let’s look a little closer at the origin of Post-it notes, and how they were created. The man widely credited with the creation of Post-it notes was a chemist named Dr. Spencer Silver. Now, as you would imagine, nobody sets out to try to create Post-it notes, and this occasion was no different. Towards the end of the 1960s, Spencer was trying to create a really strong and long-lasting adhesive that could be used to stick things, and would also be repositioned several times. Instead, quite by accident, Spencer came up with a super weak adhesive instead! This new invention was great, but at that time it was a solution without a problem. There was no cause for the use of Silver’s sticky notes, and so the invention was not in use for a long time. Around 5 years later, a man called Art Fry noticed the product after attending a seminar. Fry was a keen singer in his church choir and became frustrated with not being able to bookmark pages in his hymn book effectively. After becoming aware of Silver’s sticky notes, he determined that he had found the solution to his problems. In fact, Fry is the man who is credited with coming up with the idea of attaching a strip of the adhesive to the back of the paper, thus creating the first iteration of what we know as Post-it notes. Having been promoting the product through Silver’s chemist company, 3M, they managed to get the company to launch the product in 1977, under the name Press ‘n Peel. Unfortunately, the product was not that successful when it was first launched, and this led to a rebrand. The company recalled the product after it tested well in Idaho, and they made the decision to rename it Post-it notes. 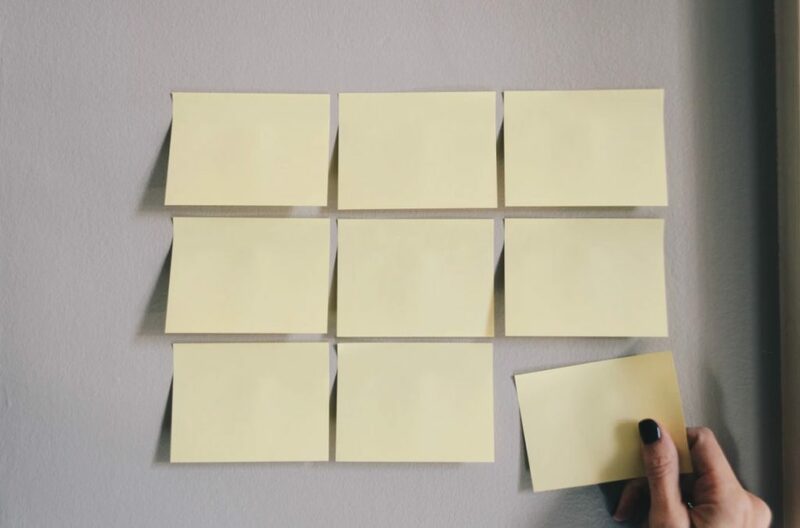 Post-its were released worldwide in 1980, and became a huge success, as we know! The product has become an inescapable part of everyday life, especially when it comes to the business world. Did you know, the famous yellow color was actually an accident as well?! The prototype was first created using yellow scrap paper from the laboratory, and it stuck (pun intended). We bet you never knew that Post-it notes had such a curious backstory. Just think, they could never have been invented had Silver got his experiment right the first time! It’s funny how many of the great inventions in the world were created entirely by mistake. We can’t imagine working life without Post-it notes, and now you can say you know a little more about where they came from.